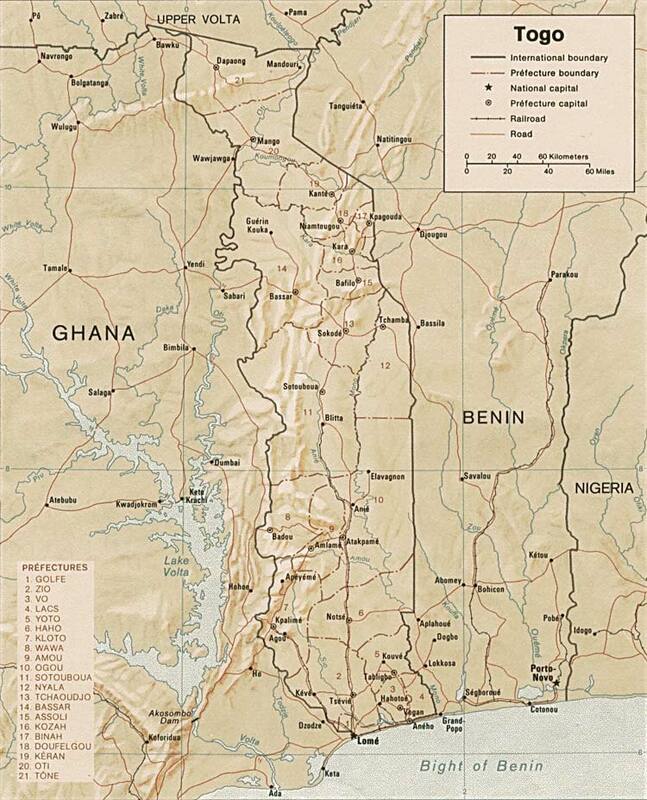 Togo is a sliver piece of land which finds itself hidden on the topographical map between the countries Ghana, Burkina Faso and Benin. 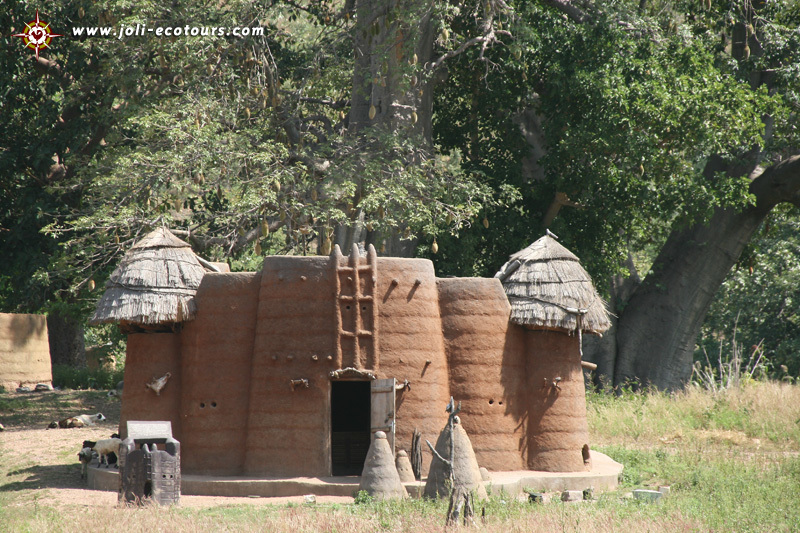 Although it is unknown to many people, Togo offers some extra-ordinary and interesting sites. Since Togo is very small, Jolinaiko Eco Tours most of the times offers tours through Togo in combination with the surrounding countries. You can pay a single visit to Togo or visit the country in combination with Ghana and/or Benin. Togo can be reached from Ghana in half a day. See our example tours (coming soon) for possible itineraries and inspiration. We also organize single day trips or weekend trips to Togo, for example a weekend Lome or a Kpalime excursion. Contact us for more information. Photos of Togo can be found in our Togo highlights photo album. See our interactive map with destination, for all locations mentioned below. Stroll through 'Le Marche des Feticheurs' in the capital Lome and browse through the mystifying collection of traditional medicines and fetish offers. Visit the 'colourful and flamboyant weekly markets like Vogan and Tsevie in the south and Dapaong and Ketao in the north. Attend the yearly festivals such as the initiation ceremonies of Evala and Adossa, and the tribal festivals Agbigbo-Za and Epe-Ekpe among others. Explore the extra-ordinary architecture in Tamberma Valley. 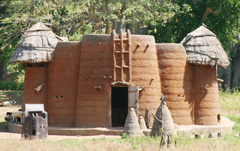 This area is known for its tata compounds, mud castle-like structures build without tools and founded in the 17th century by people who fled the slaving forays of the Abomey kings. Visit the tradition work of the local black smiths in the villages Bandjeli and Bassar, the weavers of Bafilo and the female artists of Landa. Togo is known of its wide variety of traditional dance performances. Enjoy the fire dance arounds Bassar and the Tchebe, or stilt dancers of Atakpame among others. Walk through the beautiful hill country around Kpalime. Climb the top of Mountain Ago or Mount Kloto and hike to the Kpime Falls. Explore more of ‘Les Plateaux Ouest’ and visit the hilltop settlement Badou. Visit the cacoa and coffee plantations and visit the Akloa Falls. Get a glimpse of the hippos having their habitat in the Nangbeto Lake near Atakpame. Spot buffalos, zebras, antelopes and other wildlife species while visiting Le Parc des Animaux in Sarakawa. Explore the few relics in Togoville remembering the peace treaty that was signed by Chief Mlapa III in 1884 that gave the Germans rights over all of Togoland. Togoville is also the historical centre of voodoo since it was here that voodoo practitioners were taken as slaves to Haiti. Visit the Cliffside fortress carved into the mountain range near Daopong where the Moba people secured themselves during the Chokossi Empire in the 19th century. Relax at the palm-fringed beaches near Lac Togo and the formal colonial capital Aneho, especially lively during the weekend. “ I know Apollo since 2001. From the beginning I experienced him as a very reliable person who never lets you down. I have been four times in Ghana. Every time I met Apollo. He arranged a training period for my niece. He has the ability to work with all kinds of people. “ Since it is way too much to describe all details of our journey, we will give a short list of highlights which will be in our minds forever: - the meeting with the Voodoo priest in Ouidah - the meeting with the King of Abomey - the visit to the Tamberma people in the north of Togo - the impressive walk to and view of the Akloa falls - the stay at the stilt village Ganvié - the lunch with Boris and his family - Cotonou's night life with Salsa bars - and much more!